Producer Jameszoo is a young member of the DJ scene, striving for development and creativity. In 2016 he released his debut album ‘Fool’. His innocence and open-minded spontaneity make Jamezoo’s music unique. His natural talent for crossing borders makes Jameszoo a musician who thinks outside the box. The concert in the Melkweg is part of the ‘Helemaal Melkweg’ festival. For a reduced ticket price you can roam the entire venue for exciting music, theatre, film and music. The Metropole Orkest accepts the challenge to transform Jameszoo’s “uninhibited computer jazz” into an acoustic experience, inviting the audience into a universe where there is just a fine line between electronic and acoustic music. It adds an extra twist and dimension to Jameszoo’s unpredictable music, surprising and touching the audience on a new level. Chief conductor Jules Buckley on working with Jameszoo: “This collaboration between Jameszoo and Metropole Orkest just feels right. 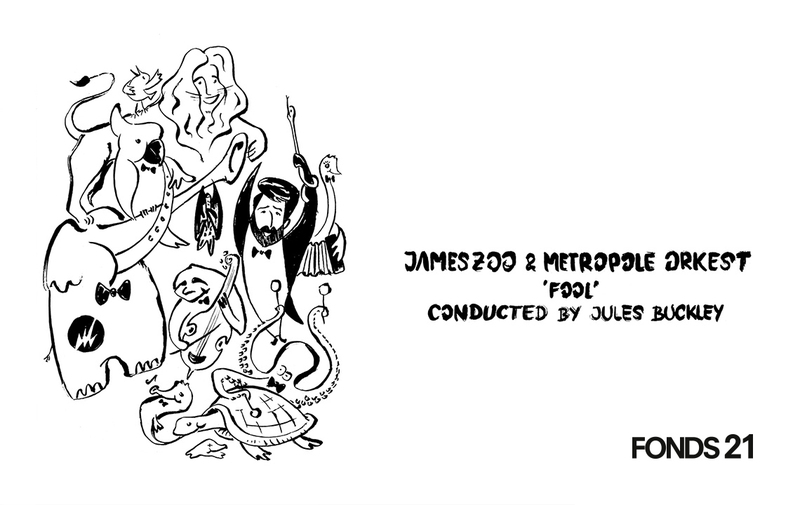 Jameszoo is an incredible artist, making a fresh statement right now internationally and I feel the combination of his compositions from Fool, reworked and presented uniquely with Metropole this autumn, is sure to lay down a marker or two”. This project is made possible with financial support by Fonds 21.